The name is thought-provoking, perhaps a nod to Rabindranath Tagore’s poem that encouraged the Korean independence movement, in which he called Korea a “lamp bearer of the East.” Perhaps it signals the hope at the time for a new era of self-governance, or the light of truth illuminating a path that would lead to renewal, dignity and inevitable self-determination. The day is bittersweet. In North Korea it is commemorated separately with a different name. This fact is a reminder of an unfulfilled dream of the Korean people – to live as one people, independent, and free, creating a world that benefits succeeding generations. In the recent Global Peace Leadership Conference for East Africa/Great Lakes Region in Uganda, Dr. Moon drew parallels to his homeland and many African nations as they stand ripe for national transformation. Dr. Moon has advocated a process national transformation that is guided by a vision that can inspire and engage the people around shared values. This then becomes the foundation for vibrant civil society engagement, social cohesion and good governance, the building blocks for lasting peace and mutual prosperity. For Korea, he has articulated a vision for a unified Korea rooted in their shared spiritual heritage, which he has called the Korean Dream. 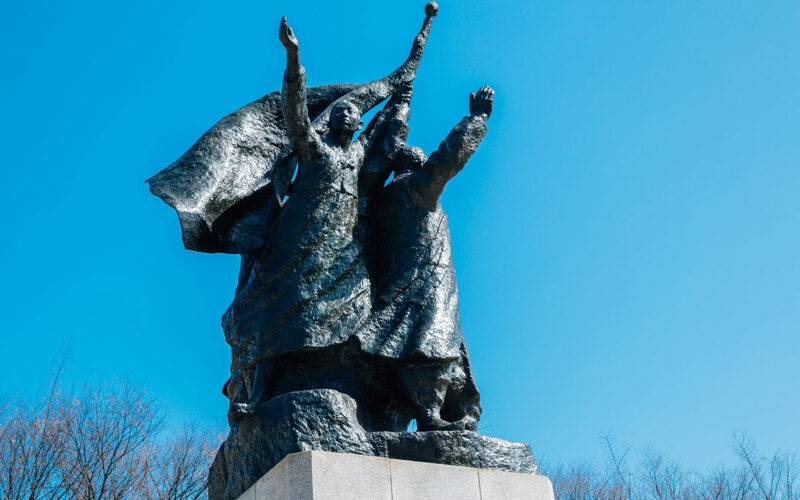 The vision now guides a Korean-led movement for reunification to define and build a nation based on principles and values set down at the time of the founding of the Korean nation. Around the world, Korean civil society organizations are working to rediscover their shared heritage and working to reimagine a new, unified Korea, that can honor human dignity, freedom and responsibility. Korea’s economic rise after the Korean War, from an aid-receiving nation to an aid-giving nation, and now, one of the top 15 economies in the world, has important lessons to offer emerging nations. Done correctly, these new economies could offer alternatives to current models of development that are vision-driven, guided by spiritual values, and consider the prosperity of all. If done incorrectly, they could follow a course of irresponsible materialism, exploitation and individualism at the expense of the family and community. Many African nations stand at a similar crossroads; their future lies wide open with possibilities. Local leadership, guided by the wisdom, heritage and traditional values of the African village and extended family, have an opportunity to build groundbreaking models of peacebuilding and prosperity. On this day, it is appropriate to acknowledge the hope and possibilities expressed in 1945 as the “Day of the Restoration of Light”, not just for Korea, but for many nations at the time. Although many of those dreams remain unfulfilled, we can recognize and seize the current opportunity to now bring those dreams to light.